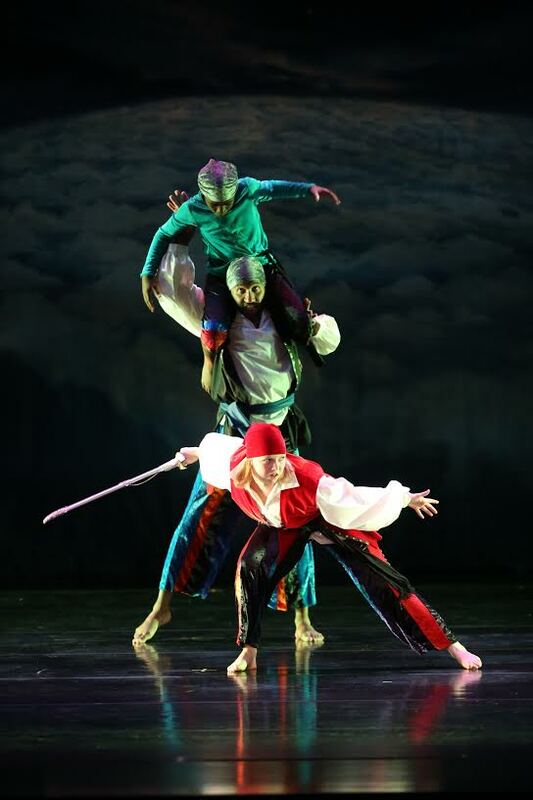 In addition to the premieres of two new dance works by Ballet West’s Christopher Ruud, four local pillars of Utah’s expansive dance community will present a variety of works encompassing the breadth and depth of dance movement vocabularies at this year’s Utah Arts Festival. For the festival performance, artistic director Daniel Charon has selected works and excerpts covering more than 60 years of dance compositions. The elation of springtime dance is captured in Bach Suites, choreographed by the legendary dance artist Murray Louis in 1956 and set to music of the composer. “It’s elegant with very clean lines and it’s perfect for this setting,” Charon explains. 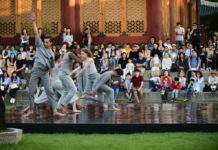 Jumping immediately ahead to 2014, the company will perform the opening movement of the distinctly futuristic States Rendered, choreographed by Doug Varone, an internationally known dance artist based in New York with his own company and a recipient this year of the Doris Duke Performing Artist Award. The movement features the music of the jam band Knuckledusters, well known for playing fiddle, swing, ragtime, country, blues and hillbilly-jazz music. Keeping spirits light, Charon has added the Israeli-style folk dance section from Netta Yerushalmy’s Norwegia, which was premiered at the company’s most recent spring concert. The work is bold, lively, passionate – with frequent costume and lighting changes and then switching these elements without necessarily resolving them. Ririe-Woodbury Dance Company, Mary Lyn Graves. Photo by Stuart Ruckman. 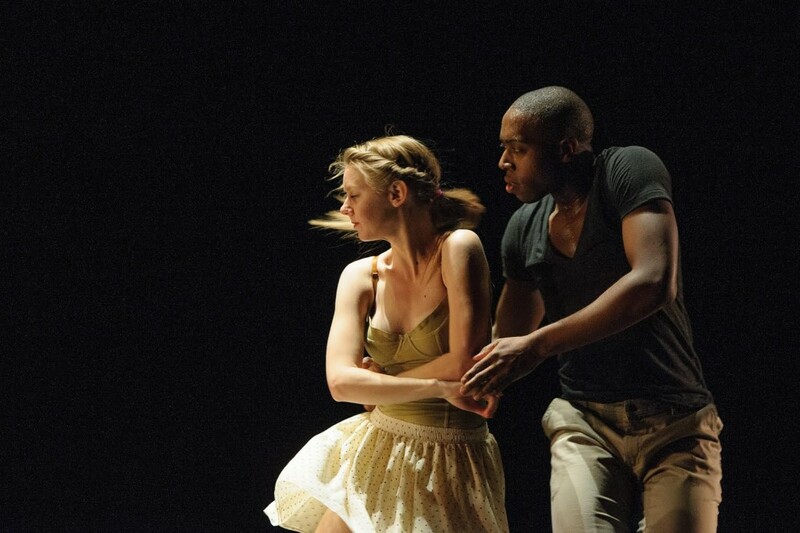 Closing the program will be Storm, a work that Charon choreographed for the company in a 2011 premiere. The work, featuring music by Michael Nyman and which Charon says has a cinematic and kinetic feel, is a celebration of the ever-shifting dynamics individuals bring and interact with each other in the community to infuse and support the living organism that is the community. Storm is an apt metaphor for the city of artistic and cultural life brought together for the festival. Charon says the festival program is intended to be a joyous event of dance, which people can choose to watch in its entirety or just sample a bit to see in a comfortable, approachable venue for contemporary dance. As for the upcoming 52nd season, Charon says the works should spark and provoke thoughtful discussions, especially as they deal with issues of making identity and exploring the effects of our immersive relationship with technology. 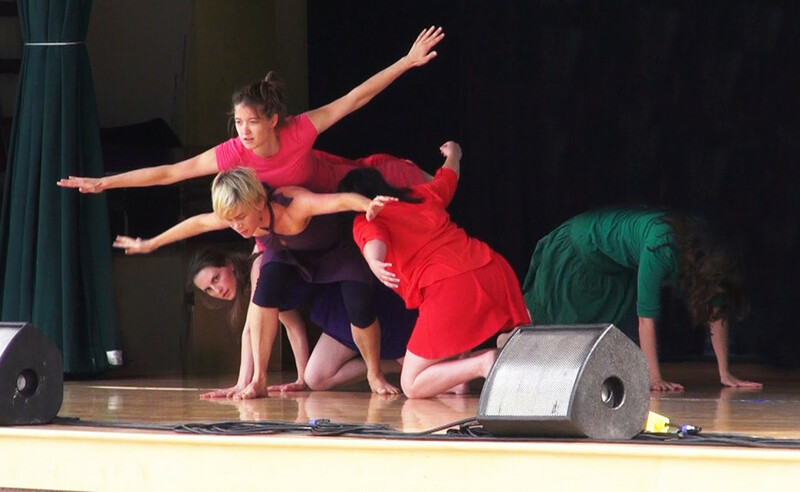 Contemporary dance and its diverse movement vocabulary seem particularly well suited to exploring how these issues drive, reshape and influence our humanity and the capacity to keep our bodies free. 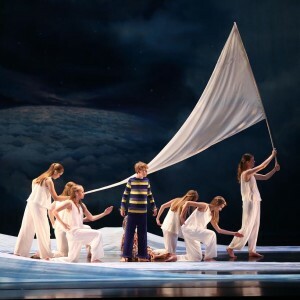 Featuring more than 100 dancers between the ages of 8 and 28 bedecked in colorful costumes, Crumb and The Pirates will be presented, a work that the group performed for events and schools during the most recent season. Mary Ann Lee says the work overflows with whimsy. The story takes place in an Italian fishing village where all of the men inexplicably are missing, presumed to be lost at sea. Meanwhile a boy, accompanied by his dog, goes fishing to catch food for his mother but his line snags onto a pirate ship. Soon, the boy and his village must contend with swashbuckling pirates. The production even features characters wearing pasta costumes and Italian-style puppets. Lee’s son Christopher adapted the story from Guillermo Mordillo’s ‘The Damp and Daffy Dongs of a Daring Pirate Ship.’ The score was composed by Tristain Moore, who has written music for many children’s dance theatre production. The second oldest Utah dance company, the CDT recently moved from the old barracks, which also housed the Repertory Dance Theatre at one time, to more than 7,000 square feet of space in the new Beverley Taylor Sorenson Dance Complex on the university campus. “It’s our Taj Mahal,” Lee says, adding that the group will be able to expand its offering of camps, studio space and training for dancers. Improvisation – or, what some have called ‘unchoreography’ in actually a reaffirming way – takes on visceral, immediate risks in the performance of AKAMoFo, a dance group formed 12 years ago by Graham Brown and graduates of the University of Utah’s modern dance program and which now encompasses backgrounds from the national and international performing community. Blending classical and improvisational forms of modern dance with the edgy spontaneity found in street-style dancers, MoFo (as the group is popularly known) makes on-the-spot performance decisions that appear to be choreographed to an audience member’s eyes. The group might incorporate a character feature, a line of poetry or prose from a book, a media or music clip, or an element of theater improvisation, according to Danell Hathaway, a MoFo dancer. 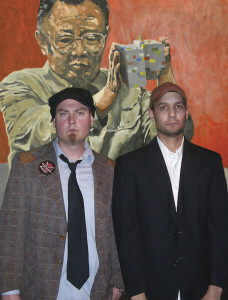 One of the most intriguing examples was Zodiac Tattoo, an improvisational interpretation of zodiac signs and horoscopes which ranged from sarcasm and foolishness to poignancy and delight, a show that earned MoFo a 2009 Arty Award from Salt Lake City Weekly. Spectators should not be confused or misled by the spontaneous, liberating feel of a MoFo performance. It requires an exceptional level of discipline in aestheticism and athleticism. “I’m more exhausted at the end of a rehearsal than after doing eight hours of choreography,” Hathaway says. Sometimes, dancers prepare up to six months for a performance. “At times, the creative process itself is greater than the end product,” she says, adding that because MoFo shows incorporate audience members in one way or another, the energy from them can make or break a performance. Hathaway says the dancers accept the beta risk, knowing that sometimes a show will bomb and other times, it will be exhilarating in feeding off the audience energy. The group’s Utah Arts Festival performance is going to ramp up the range of possibilities, courtesy of the live music accompaniment of the Salt Lake Whalefishers, a pair of musicians – one on tenor banjo and the other on acoustic guitar – who actually can sound like a quartet with a drum and bass machine to boot. For the festival, MoFo will give audience members a chance to call the shots. One segment echoes the classic Let’s Make A Deal television game show in which dancers give a quick preview of a dance move and it’s up to the audience to decide which one has the best dance deal ‘behind the door,’ so to speak. Another will involve spinning the wheel to decide the improvisation while another might involve a tug of war. RDT’s festival performance formally launches the company’s 50th anniversary season, according to Linda Smith, artistic director and one of the founding members. And, its selections for the performance represent some of modern dance’s most famous choreographers, a sample testament to the longevity and the significance of RDT’s repertory mission to preserve and to perform the whole history of modern dance. 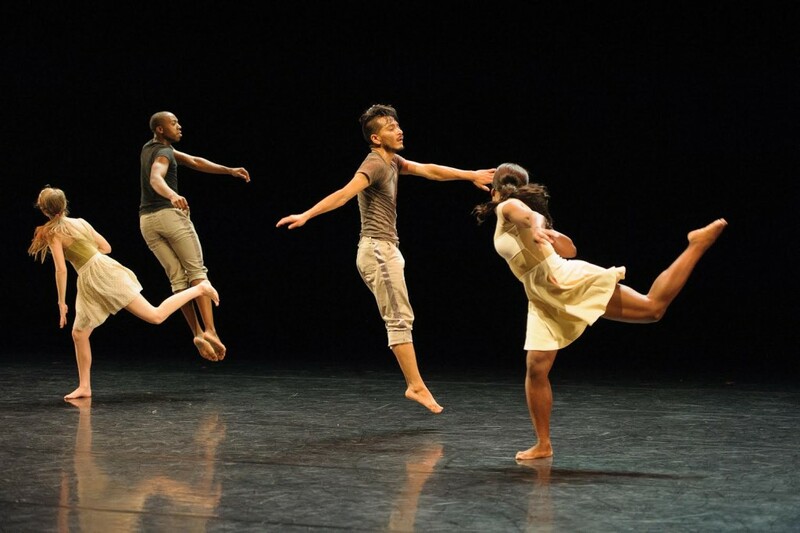 One of the works to be featured comes from the company’s most recent dance concert Reunion, which presented works choreographed by RDT’s alumni. A winner of many awards for his choreography, Francisco Gella’s interpretation of one of Schubert’s eight Impromptu pieces for two dancers will be reprised. 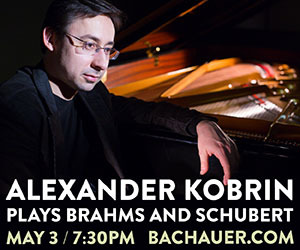 The piece is inspired by the memories Gella, who was born in the Philippines and came to the United States at the age of 11, carries of his grandmother who considered the Schubert work one of her favorites. Signifying the roots of both RDT and modern dance, excerpts from Jose Limón’s 1958 piece Mazurkas, inspired by Chopin’s music of the same form, will be performed. The work was created as a tribute to the heroism of Poland’s citizens who had endured war and the eventual imposition of the Soviet regime. The program immediately returns to the present with Noa Zuk’s By The Snake – a gaga composition which joyously upends the social and gender conventions of couples dancing with an exhilarating score to boot. Keeping the spirit as festive as possible, Smith says the program will close with excerpts from a solid audience favorite, Zvi Gotheiner’s Duets to Brazilian-Indian Music. Four dance concerts comprise the upcoming anniversary season, starting with Ritual (Oct. 1-3), highlighting contemporary classics inspired by ceremonial memory. Revel (Nov. 19-21) is the centerpiece celebration of RDT’s alumni dancers and choreography, while Regalia (Feb. 20) will be the company’s annual fundraising gala which includes the Iron Choreographer competition. The season closes with Revere (April 14-16), a tribute to Jose Limón, whose work has been a mainstay of RDT since the company’s founding in 1966. Smith also says a series of unannounced, spontaneous ‘pop-up’ performances will take place throughout the valley during the season.